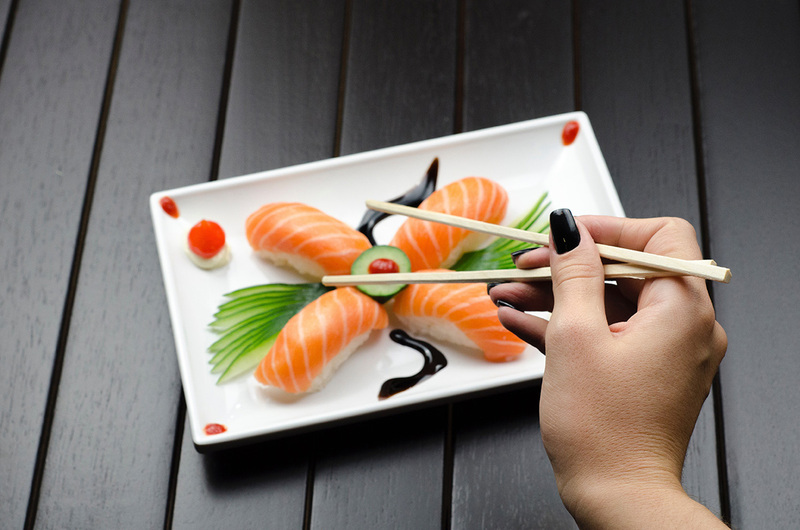 The history of Japanese cuisine goes back for more than a thousand years and, thus, it isn’t surprising that it’s among the most varied and influential in world cuisine today. This and the fact that Japan actually boasts of the highest number of Michelin stars worldwide – more than 550 across Japan with over 200 in Tokyo alone. But like all cuisines, there are a few dishes that Westerners unfamiliar with Eastern cuisine will likely find weird, to say the least. Fortunately, most of these weird foods actually taste better than they look and sound! You should try these five uniquely Japanese food and expand your foodie repertoire. And the best thing is that you don’t even have to travel to Japan to enjoy them! Some of these weird-looking yet delicious-to-the-last-bite food can be ordered in your nearest Sarku Japan restaurant. You don’t have to worry about the cost of your Japanese meal either as Sarku has budget-friendly prices in comparison with its sister brand, Benihana. Horse meat sashimi – yes, that’s exactly what basashi is, and we can’t blame you for freaking out. For most Westerners, the thought of eating horse meat is already stomach-churning but when it’s served raw – yes, raw as in uncooked because that’s what a sashimi is – it takes on an even more horrible sound. If it’s any consolation, it’s also known as sakuraniku, or cherry blossom meat, because of the meat’s pink color. When served raw, basashi is served cold with a side of ginger, wasabi and soy sauce, which will enhance its surprisingly flavorful, tender and succulent quality. Plus, it’s smooth in the mouth with a slightly sweet flavor that pairs well with the salty soy sauce and spicy wasabi. But if eating raw horse meat isn’t up your alley, you can ask for its cooked version. The overall flavor profile will still be there and you’re not getting icky thoughts about putting the slices of meat into your mouth. While it’s widely available in Kumamoto, its place of origin, basashi is also available in many Japanese restaurants, even in Western countries. Freshwater eels can be freaky to look at with their slick bodies that feel even slicker to the touch. But when you eat them the Japanese way – unagi, of course – you may become addicted to their umami flavor. Yes, that’s umami, which sounds like yummy and it’s a now-widely used term to describe the blend of sweet and savory flavors that the other four basic flavors can’t capture. The eels aren’t served raw, thank the Japanese, because these are filleted and grilled first until these are lightly crispy on the outside and succulently tender on the inside. These are then brushed with a slightly sweet soy sauce glaze, which perfectly encapsulates the umami flavor, and are then good to be eaten. You can eat unagi on its own or with bowls of steaming rice. You may even ask for extra sauce to go with the rice. Yes, we know you’re drooling by now. Whiskey, brandy and tequila have nothing on habushu, looks- and flavor-wise, and we say it with conviction. Habushu is snake wine, and it isn’t just any snake either – habu is actually a venomous snake, the only one in Japan and only found in Okinawa. Just imagine drinking wine where a venomous snake fermented in alcohol for at least six months and you may just lose your balls. But here’s the good news: Habushu isn’t poisonous, if it’s prepared properly, because the habu’s venom has been removed. Plus, it tastes palatable and, if the Japanese fans are to be believed, it will increase your libido. Think of it as an alternative to Viagra although we can’t vouch for it. Beef tongue is to Westerners as gyūtan is to the Japanese. With this in mind, eating gyūtan isn’t as gross as it first sounds because beef tongue is also a relatively common ingredient in dishes in Latin America, Europe and other parts of Asia. Besides, beef tongue is a muscle and, like all muscles in a beef’s body, it’s delicious once cooked by an expert. For the Japanese, gyūtan is best served grilled to bring out its flavors. The tongue is thinly sliced, grilled over charcoal, and served with a side of wasabi, ginger and soy sauce, the trinity of Japanese sides. When grilled well, it has a deep meaty flavor with a tender texture akin to lean meat and cartilage combined. Japanese street food includes several intriguing dishes and takoyaki is one of them. Takoyaki is an octopus ball – or more specifically, diced octopus dipped in wheat flour batter, shaped into balls, and deep-fried. The cooked crispy balls are then covered in a tangy, spicy soy sauce-based glaze combined with dried fish flakes, dried seaweed, and mayonnaise. If you’ve eaten squid before, then you won’t be as freaked out as eating takoyaki. But be careful because appearances can deceive! Takoyaki may look harmless – it’s just octopus balls, after all – but these are extremely hot. The next time you’re in Sarku Japan, you may want to venture beyond the familiar sushi, sashimi and odon on the menu. Be more adventurous and ask if the chefs cook one of these dishes.